We have a new year coming, and that means new healthcare costs. 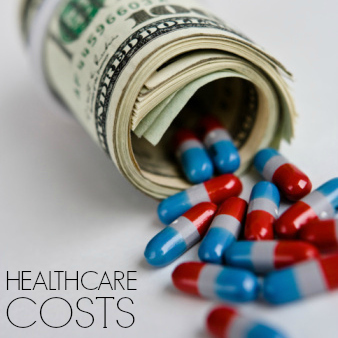 The cost of healthcare goes up every year, but since 2010, those costs have slowed. The cost of healthcare has risen an average of 1.3 percent a year from 2010 to 2013, as compared with 1.8 percent from 2007 to 2010 and 3.9 percent per year between 2000 and 2007. I know that my health insurance premium went up by less than usual this last enrollment period. The fact that healthcare costs are slowing doesn’t mean that you aren’t subject to increases, though. In fact, you are probably acutely aware that healthcare costs continue to impact your pocketbook more each year. Degree doesn’t seem to matter so much. For many consumers, health insurance is the largest cost related to healthcare. “Focusing on insurance premiums and potential cost increases, the single best step anyone can take is to visit the Health Insurance Marketplace in their state,” says Jacquline Garry Lampert, the founder of Lake Street Strategies and consultant to YourHealthcareSimplified.org. Due to the ACA, many states are expanding their Medicaid coverage, and your first step is to see if you are now eligible. You can also check to see if you qualify for tax credits to help reduce your health insurance costs if an employer-sponsored plan is not an option or too expensive. You can find your state’s exchange by starting at HealthCare.gov. If you qualify for a high-deductible healthcare plan, and you don’t usually have a lot of out-of-pocket expenses, you can save on your monthly premiums by agreeing to pay more up front. Combine your plan with a Health Savings Account, and you can prepare to meet these higher out of pocket costs. After sorting your health insurance, it’s time to employ other strategies. If your employer offers a Flexible Savings Account, you can save up for costs with pre-tax dollars, making some of your healthcare costs tax-deductible. You can also save money by looking into generic drugs and checking into co-ops and savings plans that can help you share costs. Don’t forget that your lifestyle can save you money as well. If you make an effort to live healthier, you are less likely to get sick – this means that you can save since you don’t need to use healthcare services as much. Consider this in your calculations. What are your best tips for saving money on healthcare costs? Leave a comment! Having the US government negotiate prescription drug prices for Medicare recipients would go a long way toward lowering costs.